I think having a rifleman would ruin the medieval "feel" to the game. The tie fighter is a kind of Easter egg, and no one really uses it, but I fear this will be used too much. However your idea would be good in strategic terms, so I understand your thinking. Maybe you could use a different name, but same statistics? Actually, after the crusades by the Roman Catholic Church, trade with the Orient, namely the area of modern day China, increased dramatically. Gunpowder was invented previously by the Chinese, and firearms were experimented with. So while there were early guns in the "medieval" era, these where horribly inaccurate, could be blocked by a shield, and cumbersome to load and fire. 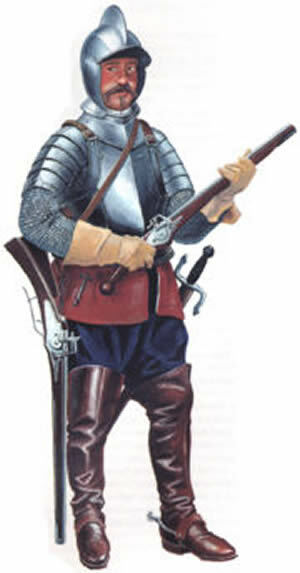 Even in the time of the conquistadors, the guns were so bad, that there swords were more use than their guns. maybe if they have chanche to destroy themselves. you know, that the gubpowder were very dangerous in the vegining. Sorry. Basically, there were guns, but those stats are WAY op for them. ie First guns were worse than arrows. Maybe gun powder technology should be in aos. Researhing it should take 8-10 turns and only place where it could be researched should be advancement centre. It would make advancement centre more useful. I hate to say this, but no. Just no. The topic of primitave guns have been brought up many times before. YES they are historically accurate and YES they were absolutely horribly fair weapons, but Daniel has already said there will be no guns in this game.That was made pretty clear last time gunpowder was mentioned. Has everyones mind changed about this recently though? Because this is just past experience. yes we are opening to inaccurate gun weapons - in an other topic i told them to suggest images and unit stats and we will see. Ahh, ok, so we are possibly gonna have primitive guns? Could there be an option for this when making a map or game, allow gunpowder. Because there are people like me who hate gun strategy. After reading about Musketeers in Wikipedia, I think they would be an appropriate unit for the Medieval era. The Tanegashima Ashigaru is a Japanese musketeer. According to Wikipedia, "The tanegashima seems to have been based on snap matchlocks that were produced in Portuguese India, at the armory of Goa (a colony of Portugal since 1510)." Since we implemented this powder based soldier, I think another unit with different attributes is appropriate. The Musketeer was used historically to attack War Elephants in India. I think it would be nice to have a ranged infantry unit to counter attack this powerful unit and other cavalry units. I agree there should be a relatively high degree of inaccuracy to their shots. Would this need the Gunpowder Tech? How does 40% for the miss sound? I could see this unit's use. I think the inaccuracy should be based on the speed of the target, similar to the catapult. After thinking about it, yes we should have a Gunpowder Tech, probably 6 turns like Ballistics. The inaccuracy based on the speed of the target, say 10% x the speed. Targets with a speed of 2 would be 20% chance of a miss, and so on. That would balance out the added bonuses for shooting at cavalry. Also it makes sense that a musket is more accurate than a catapult. When it comes to the Middle Ages, I prefer *strongly* to keep gunpowder out of it. I know it was around at the time, but I prefer my games to be all about the melee, crossbows, and standard boss. Here's my attempt at recreating Alexander82's Arquebusier in pixel art. You should try to make it more "slim"
i suggest starting from existing units - much easier modifying them than drawing a brand new. Based on Daniel's suggestion, I started from Alexander82's image of the Tanegashima Ashigaru that was implemented. I still like the name musketeer, even if he is using an arquebus as a weapon. Here is my revised image. Wanderer wrote: Based on Daniel's suggestion, I started from Alexander82's image of the Tanegashima Ashigaru that was implemented. You may want to try: thinning out (reducing the height) of the hand cannon; removing his sword; thinning the feather; darkening the pixels on the top edge of the border of the feather; also, remove all the pixels around the sides of his head (just erase them), that might give him more of a medieval look. As it is, he still looks Japanese. Just my thoughts. I made some changes, based on your suggestions. How does it compare to yours?